One of the most popular international tourist destinations, Bangkok has long been known for its night-time revelries, wild parties and cheap shopping. 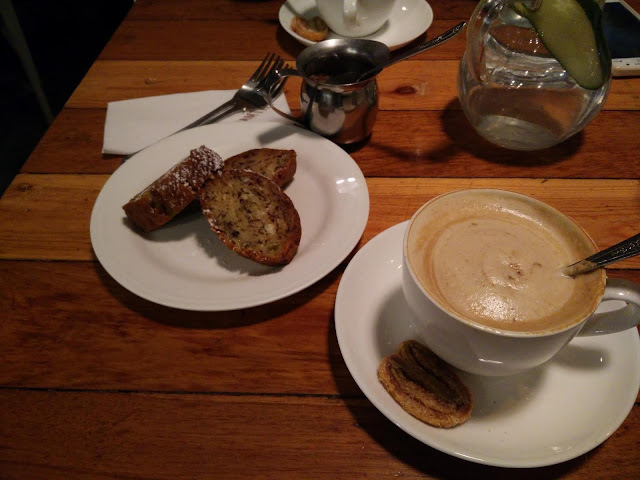 But there is a quieter side of the city that’s relatively unexplored; especially for those looking for a laid-back vacation filled with good food and lasting conversations. From themed cafes to dessert bars, this bustling city is quickly catching up with the burgeoning café culture that is rapidly spreading across urban cities world over. 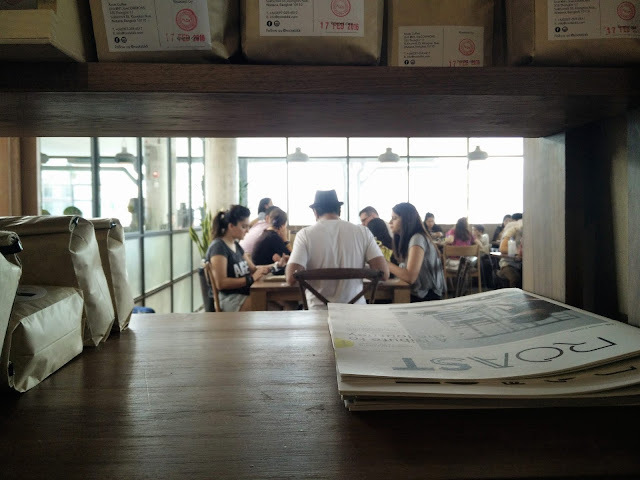 A large number of cafes are concentrated in the by-lanes that comprise the Thonglor and Ekkamai neighbourhoods in the Sukhumvit area. Located on Thonglor Soi 17, The Commons is a community hub spread over four stories replete with cafes, eateries, stores, a marketplace and a play area. Designed as an artistic loft with tall ceilings and airy spaces, the concept was created to bring people together through food and fun activities that encourage wholesome living. The buzzing space hosts jazz sessions, kitchen workshops, private parties, events and even fitness lessons. There are also pockets of open areas where people can simply sit and read amid the ambiance. 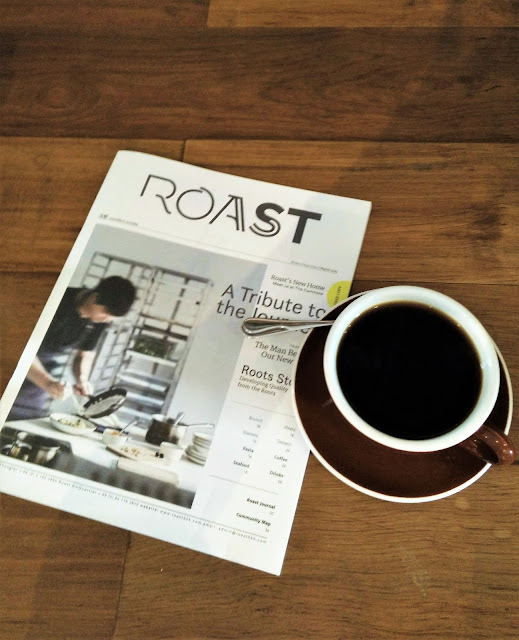 Some of the notable cafes here include Roast, an all-day eatery that’s known for their scrumptious brunches, single-origin coffees sourced from regions like Guatemala and Rwanda and indulgent desserts. Their décor screams casual chic with subtle use of wood and glass with potted plants adding some greenery. 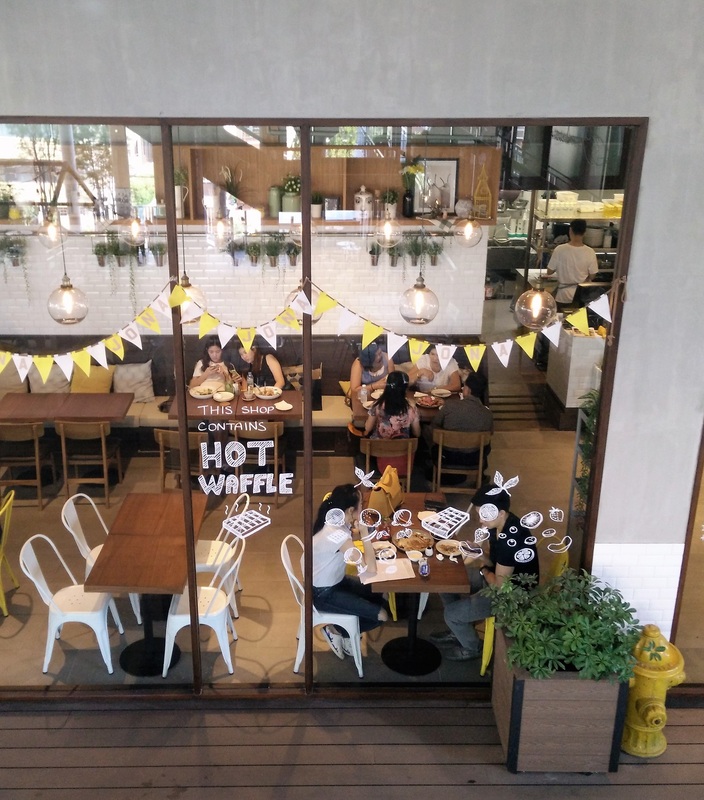 Another eatery at The Commons that deserves a mention is Jona Waffle. 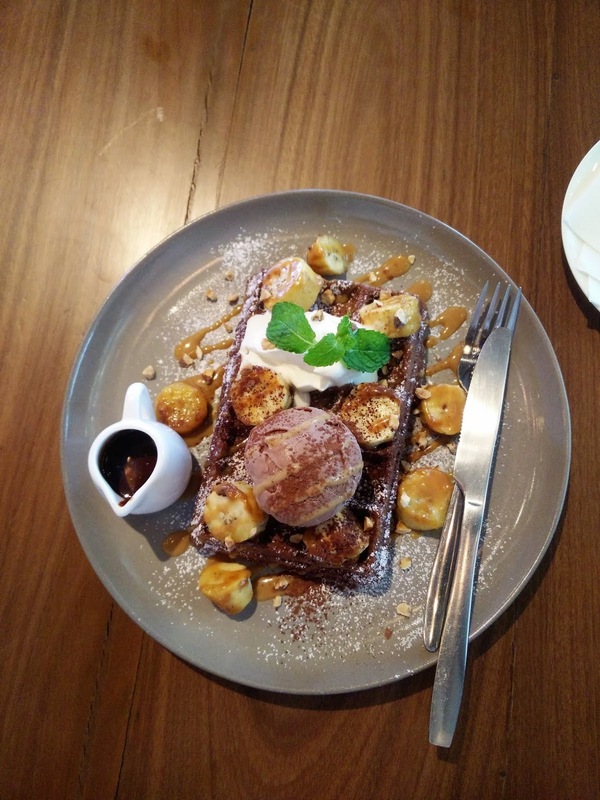 A graduate of Le Cordon Bleu, Chef Songpon Wongpaisan specialises in creating overnight yeast-raised waffles giving them a soft interior with crispy texture on the outside. The menu features lavishly decked waffles such as Never Too Much—based on the accurate premise that you can never have too much chocolate—is a chocolate waffle base topped with caramelised banana and almonds, Belgian chocolate ice cream and warm chocolate; Lady in Red—a regular waffle with fresh strawberries, blueberries, yogurt honey sauce, berry sauce and strawberry ice cream; and the Tokyo Drift—a Matcha waffle base with green tea ice cream, red bean paste, banana, a sprinkle of Kinako (yellow bean powder used in Japanese desserts), and Kuromitsu (dark sugar syrup). 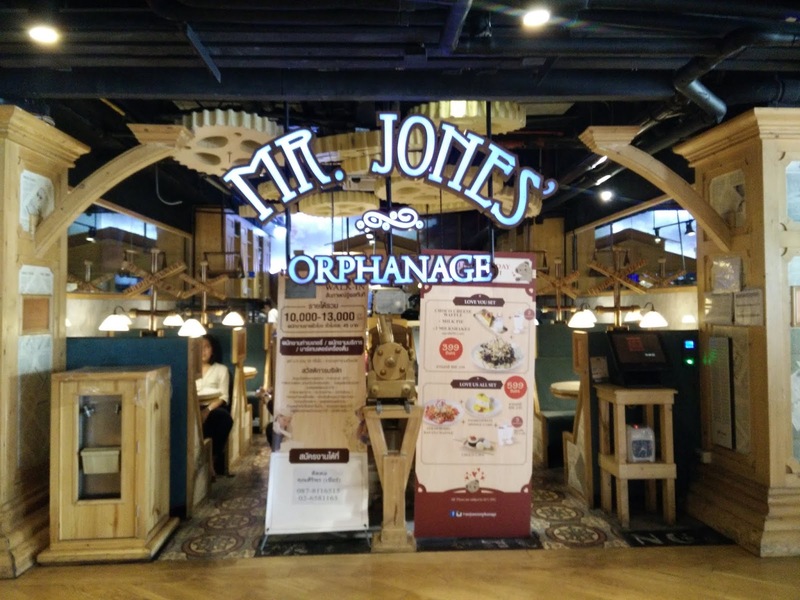 Walking into Mr Jones’ Orphanage makes you feel like a gleeful child lost in wonderland surrounded by fluffy teddy bears and enticing sweet treats. Modelled to look like as a playful children’s nook in a bid to rekindle your childhood memories, Mr Jones’ Orphanage is named so after a children’s book. Paper planes dangling from the ceiling, colourful carousels, almost life-size model trains chugging along above the tables and more whimsical elements form the creative décor of this café’s six locations in the city, including popular tourist hub Siam Center. But some elements remain the same such as the blonde pinewood used in making customised booths, greyish-blue velvet upholstery and the teddy bears. 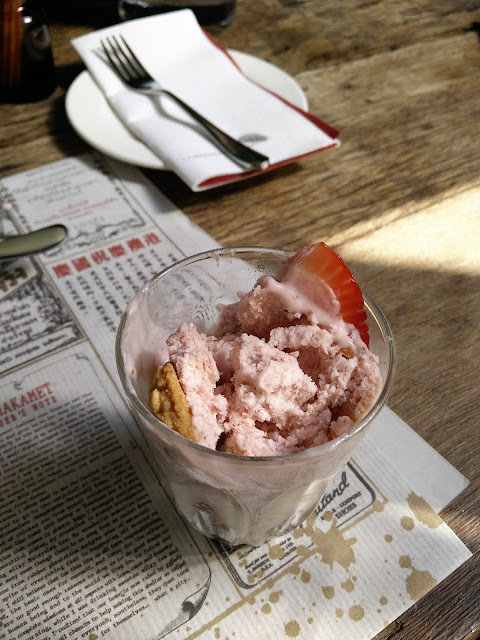 Their cakes and desserts though are their biggest attraction; even with savoury snacks on the menu. You will find tiers filled with red velvet cake, M&M and Kit Kat cake, white chocolate cheesecake, passion fruit sponge, milk pie and Match toast. You can wash them down with flavoured milk served in cute little milk bottles. The cafe also offers you to adopt a teddy bear—that comes with a passport and personality—the earnings of which is donated to Camilian Home, a foundation for children with disabilities. Located only a few minutes away from BTS station Phrom Phong, just ahead of Hotel Emporium Suites, Karamaket Diner is well hidden from the throngs of crowds that frequent the surrounding Sukhumvit area. At the door itself, you will be greeted by aromatic fragrances emanating from its essential oils shop adjacent to the diner. 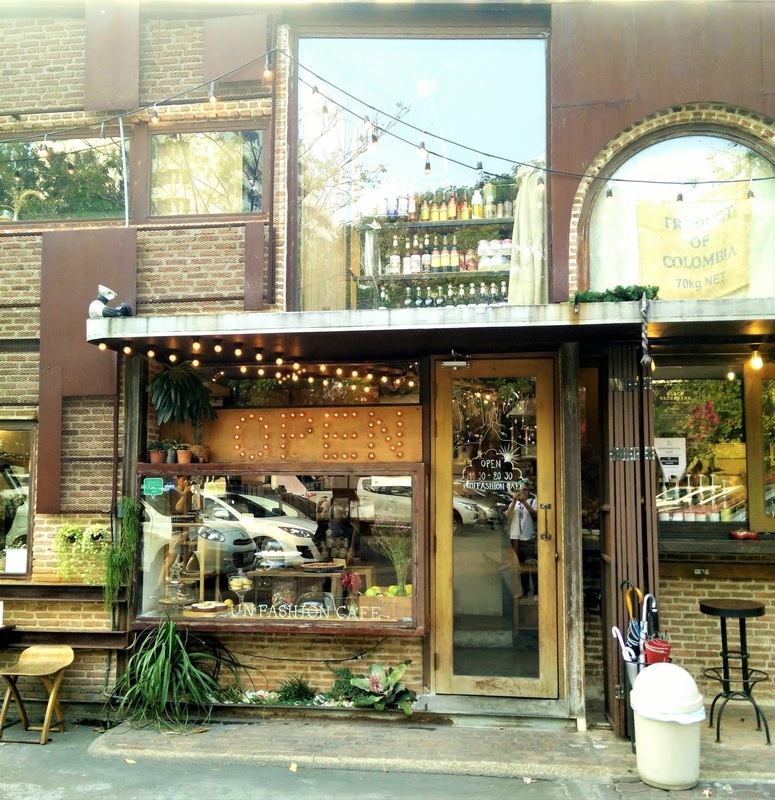 Originally a perfume brand, Karamaket began as a perfumery selling various fragrances and lifestyle products, eventually getting into the restaurant business with Everyday by Karmakamet, a quaint cafe in Silom. The Karamaket Diner is their second restaurant. 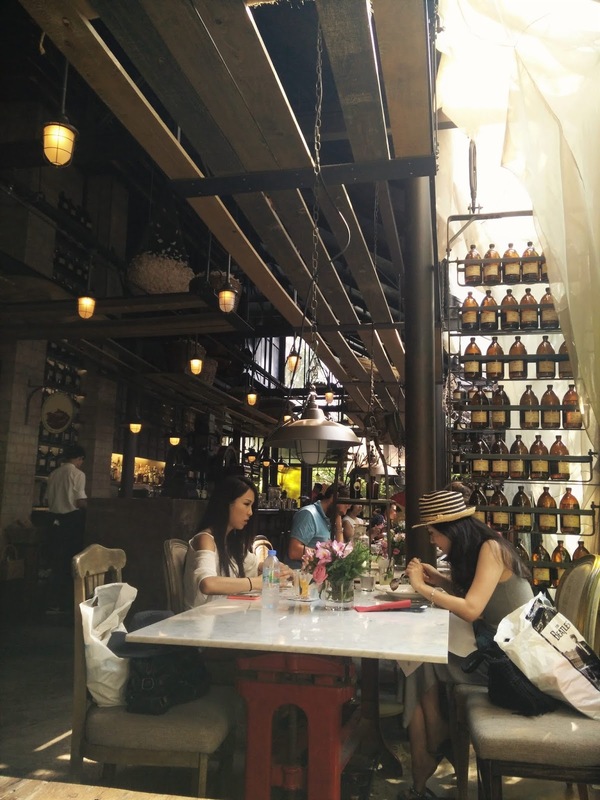 The rustic interiors of this two-storeyed space are defined by exposed brick walls, bamboo sticks entwined with dried flowers hung on the ceiling, vintage apothecary cabinets with numerous labelled drawers, stained glass windows and sepia-toned jars bearing names of fragrances from different regions, such as nectarine blossom from Iran. The menu is inspired by French cuisine, but for those looking for a hearty meal instead of an 'arty' one can also opt for pastas, burgers or a variety of egg preparations. 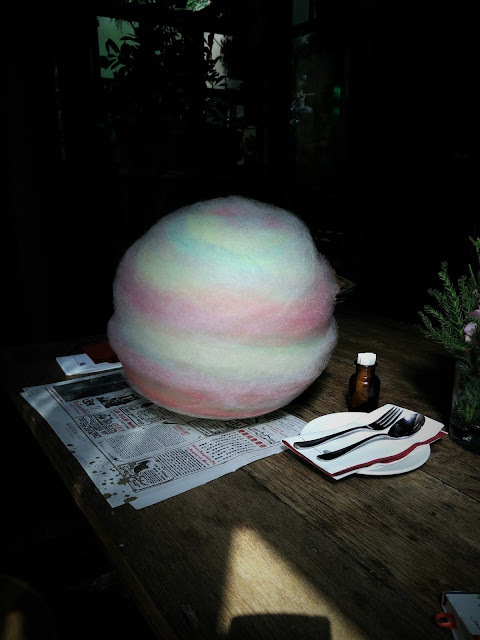 The main highlight is surely their ‘photo-worthy’ desserts. Strawberry in the Clouds is a likely winner in this category. Hidden under a large globe-sized mound of rainbow-coloured cotton candy is a glass filled with pieces of strawberry shortcake, amaretto cream, walnut crumble and strawberry ice cream. 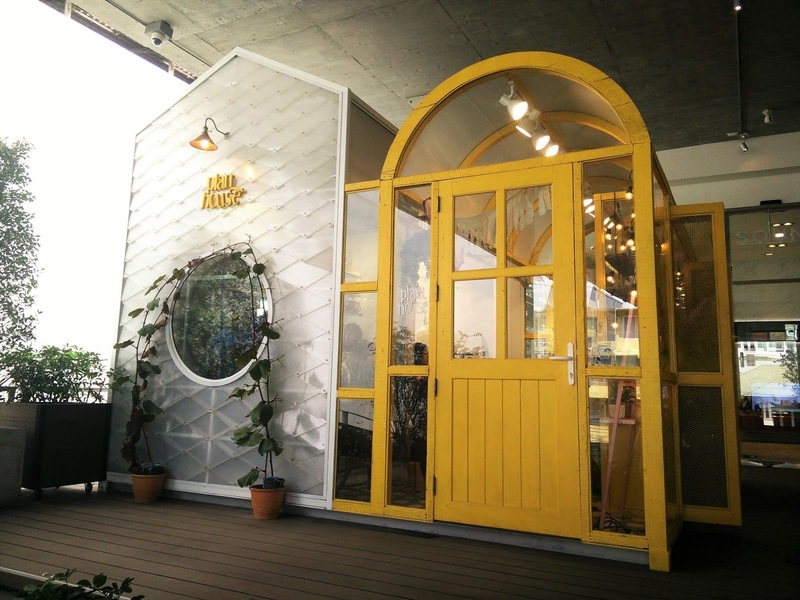 (Un)Fashion Cafe brings together one of the most coveted activities in Bangkok—shopping—with a dash of bitter-sweet indulgence and a hipster chic vibe. 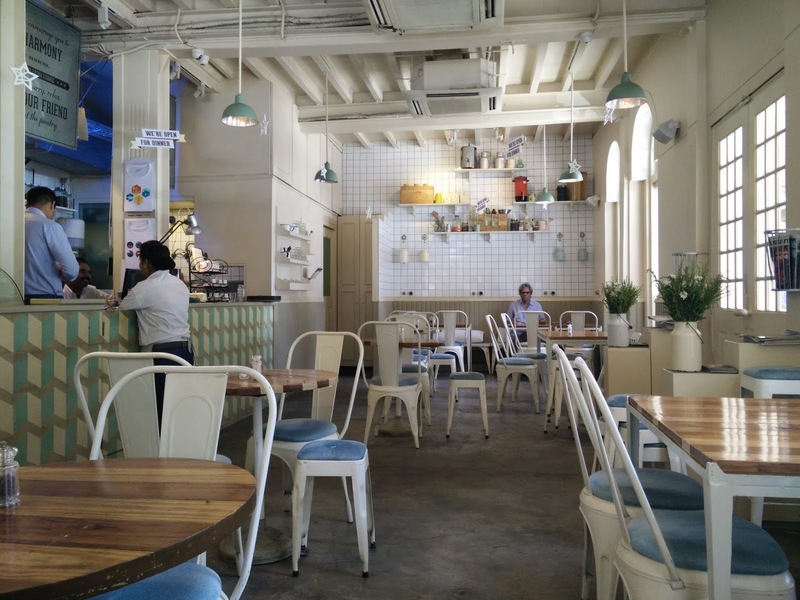 Situated at a mere 10-minute walk from Ekkamai BTS station, this cafe sits next to a flurry of vintage fashion stores selling leather bags, shoes and accessories, among other items. 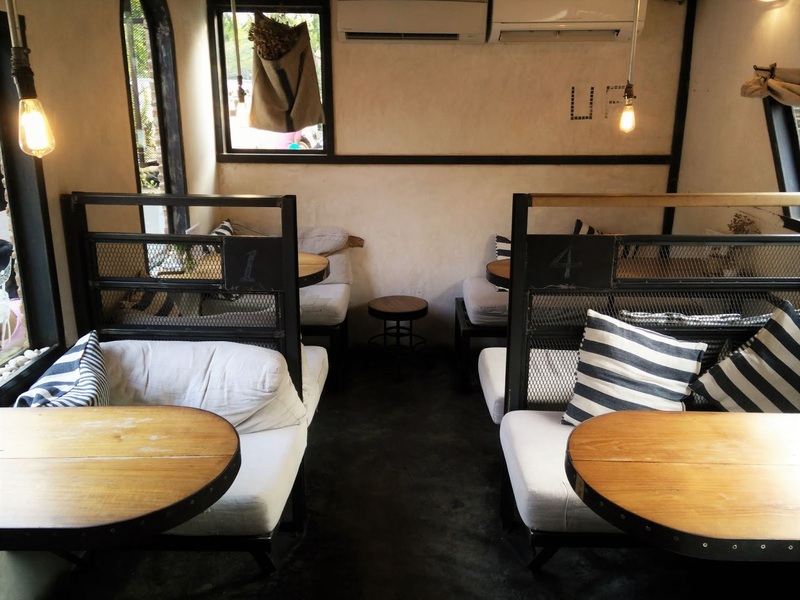 The café’s exterior almost looks like a two-storeyed brick-walled trailer, with the seating areas inside split into booths bearing comfy mattresses where one can lie on and read books all day. 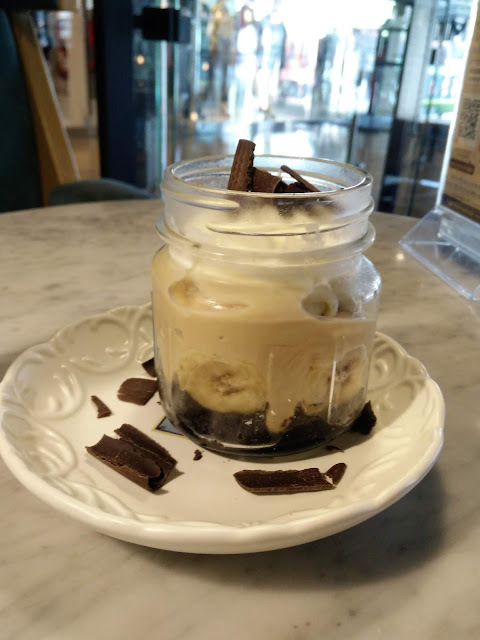 Their minimal menu comprises baked goods such as berry tarts and scones with clotted cream and jam paired with a range of coffees and teas such as the Matcha Latte, Strawberry Mango tea and Banana Chocolate Latte. This article originally appeared in Lonely Planet India in September, 2016. As writers, we all have our individual rhythms and unique processes that stimulate us to create an original piece of work. Some find stillness in chaos; they do some of their best writing when surrounded by a medley of sounds. For others, music helps them clear their minds and start putting pen to paper. And there are some for whom it is about being in an environment that sparks their creativity; which could be a veritable mix of soothing sounds and calm surroundings. For me to get into ‘the zone’, it helps to have an amalgamation of chaotic calm and visual aesthetics to transport me elsewhere. I need to be at a place that’s well-lit and the sounds around me are at a minimum. So, I constantly seek places that help me write in peace. 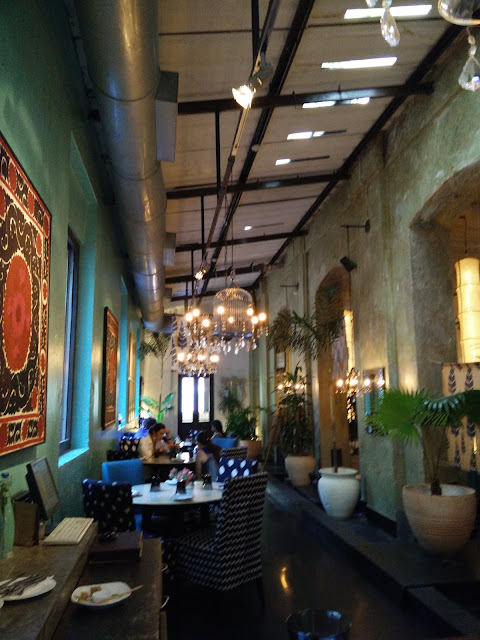 My pursuit of the ideal setting for writers to find their rhythms, I’ve found these cafes in Mumbai that fit the bill. The Taj Mahal Tea House is a great place to spend hours at end. Tucked into a quiet street in Bandra near the Mount Mary steps, this white bungalow stores gorgeous vintage furniture speckled in shades of blue, white and chrome. It is always bustling with interesting people from all walks of life, which can boost your creativity as a storyteller and add nuances to the characters you write about. For those looking to work or simply a quiet place to read, there are several cosy spaces as well—some even have rocking chairs for added comfort. What I love most is the classical music played in the background. They often play instrumental music, which is quite soothing and helps me with my writing process. If you love tea, you’ll be spoilt for choice. They have a wide range of options to choose from; be it milky masala chai or loose-leaf teas. I personally love their Parsi Mint and Kashmiri Saffron milky teas. They are very flavourful and always consistent in taste. They also have one of the best High Tea spreads I’ve seen. A traditional three-tiered stand with scones filled with strawberry cream, petit fours, devilled eggs, tiny tarts and finger sandwiches. All of which is super delicious; which is admittingly rare. 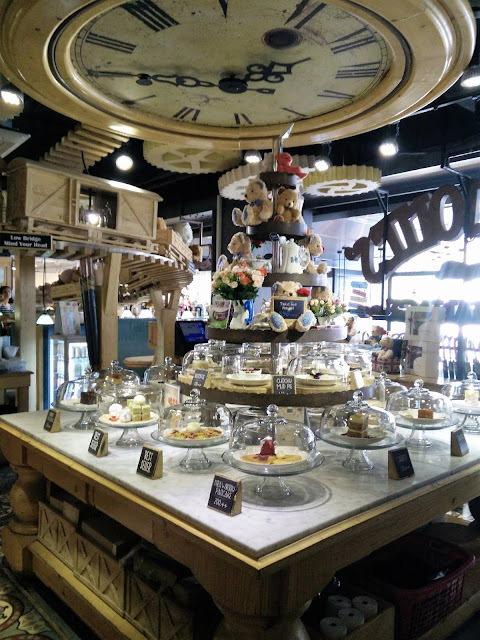 They also have an in-house store from where you can pick up gourmet tea, a range of tea cups and other tea accessories, as well as a small selection of baked goods. Quick tip: Go during the day if you want to grab those quiet spots to do some writing or reading. 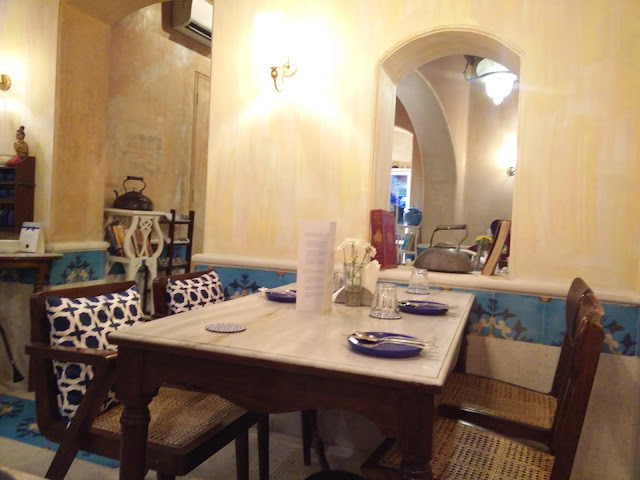 Open from 9 a.m. to 9 p.m.
My go-to place when I need some peace and quiet is always The Pantry, situated in a tiny by-lane in the Kala Ghoda area. It is the perfect place for solitary writing. Once you step inside, it’s easy to leave behind all the street noises and bustling crowds. There are only 10 tables in the café, ensuring it doesn’t get too crowded. It has an inviting ambience that is accentuated during a daytime visit with natural light streaming in. You can sit by and ponder your musings and concoct stories while listening to some European musical notes. The overall design is minimalistic as its walls are bathed in pristine white bedecked with sea green and gold accents. I particularly love their French windows with laced curtains, and the shelves on the wall holding vintage items. The staff is very courteous, which gives you a homely feeling. In promoting a healthier lifestyle, all their offerings are organic and most of the ingredients are sourced from farmers directly. 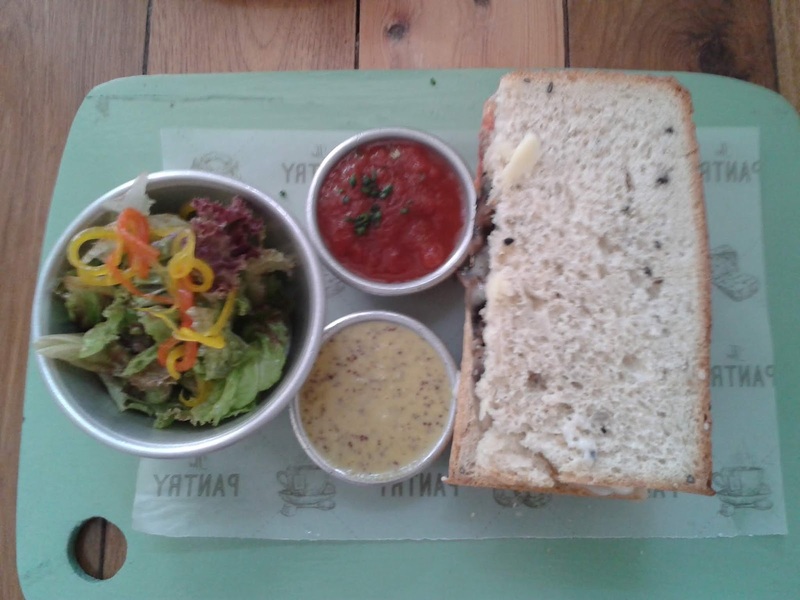 Their menu comprises a range of filling sandwiches, vitamin-boosting juices, organic coffees and teas, healthy mains, indulgent waffles and yummy baked goods. Quick tip: There is a small table tucked in a corner where you can sit by the window to collect your thoughts. 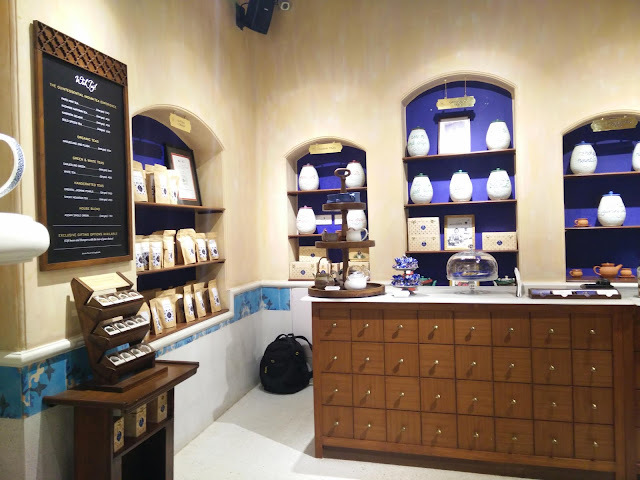 Located on the first floor of the Good Earth store at the Raghuvanshi Mills Compound, The Tasting Room is probably more frequented than the store itself. Glistening chandeliers and chic mirrors will catch your eye the moment you enter, and the rustic walls covered in paintings will draw you in. The wooden tables surrounded by chair cushions in geometric patterns complete the look. Every piece of décor here exudes character; even the cutlery and table mats are handpicked from the store. The vibrant décor can inspire colourful narratives and transport your story to vivid landscapes; painting your characters in different hues. The eatery is in a loft-like space with the tables spread widely across the floor, creating pockets of quiet spaces allowing you to slow down and unwind; translating your thoughts on paper. They serve a wide range of coffees and teas together with elegant platters of appetisers and hefty mains. 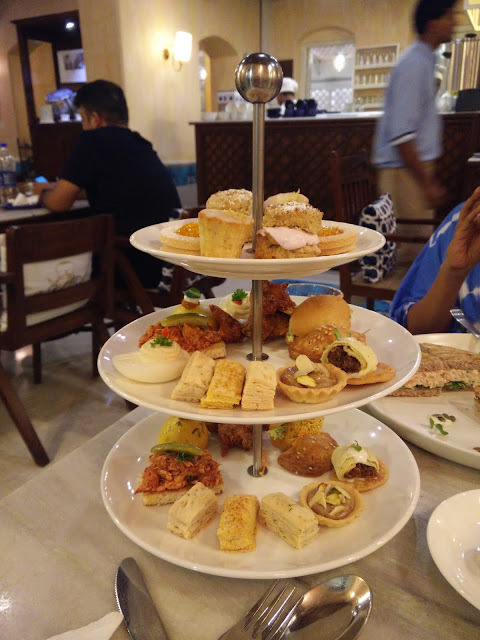 In the evenings, they serve high tea as well. Quick tip: Try and grab a corner table near the window for a cosy, quiet spot. Are we always honest when sharing our travel experiences? Do we say out loud that we didn’t like a place? Or that we didn’t understand why a certain place was so revered by travel enthusiasts and writers alike? Do we always share details about how much we hated a certain medium of travel? I don’t think so. So much of what we read about online or even discuss with friends or colleagues is so cheerful and full of stories detailing great things that happened. After all, you don’t want to be that person who hated visiting a particular destination. How can you show any less enthusiasm than what is expected of you? Why are we so afraid to be honest? Will it taint our vision of a destination? I don’t think so. Just last year, I had some epic failures when travelling. I set out to go to Manali and stay in this beautiful Airbnb property, but the bus I booked from Delhi to Manali was cancelled due to riots in Haryana sparked by followers of spiritual guru Gurmeet Ram Rahim after his arrest. And just like that, my entire trip was cancelled. Thankfully, Airbnb was gracious enough to refund my payment. I tried making my way to the mountains a second time after a month, and failed, yet again. After spending six hours on the road to Nainital, I was told by my Airbnb host that the rooms at his property have been sealed by the authorities and I won’t be able to stay there—probably one of the most random things that I have faced. Twice, my trips got ruined. But there wasn’t much I could do about it; I just made the best of the time I had. It made me realise that travel was never meant to be easy or always be a source of sunshine and sparkle. It was meant to be tough and enjoyable in equal measure. When you travel, you face numerous challenges—big and small—and navigating through them ultimately makes your journey more fulfilling. When you travel to the mountains, the tough terrains you cross are eventually rewarding in the landscapes you discover. When you find yourself lost amid the by-lanes of a tiny town, you may be rewarded by meeting complete strangers who become friends for life. 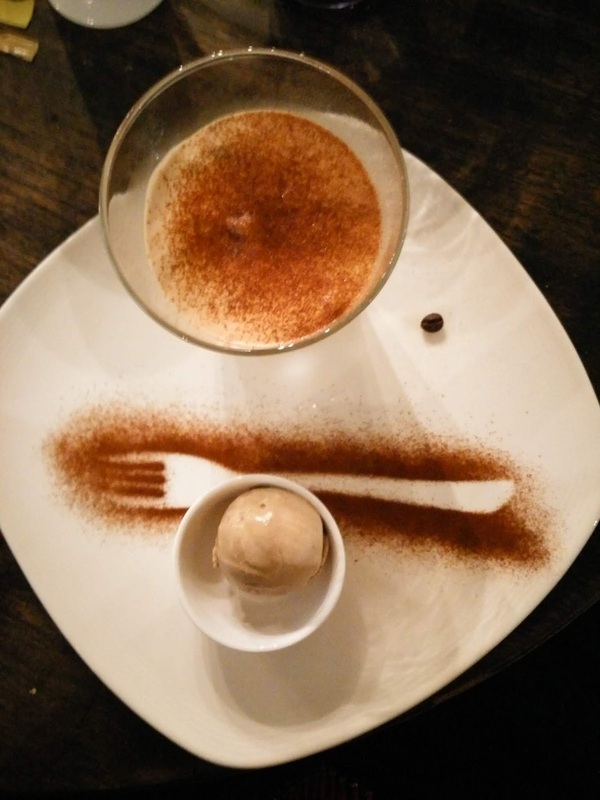 It is these unexpected discoveries that make travel so memorable. So find joy in getting lost and be honest about things you dislike. Travelling isn’t always perfect, but that’s how you collect the best stories.